Auditions will be held in Spring 2020. To ensure you are notified once audition dates have been set, please contact us! The classic 1987 Tom Hanks motion picture fantasy bursts onto the stage in the unforgettable theatrical experience, BIG THE MUSICAL. Josh Baskin is sick of being an awkward kid. At a carnival, he makes a wish to the Zoltar machine to become "big." To his shock, his wish is granted. 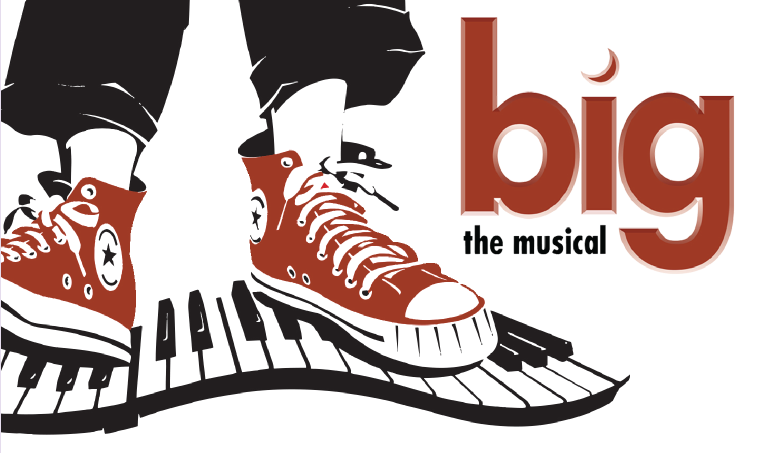 Featuring a witty, moving and insightful book by John Weldman, and a dazzling, heartfelt, contemporary score by David Shire and Richard Maltby, Jr., BIG THE MUSICAL hits all the right notes, and is adored by audiences of all ages. Music & Lyrics: David Shire & Richard Maltby, Jr.